SKU: N/A. 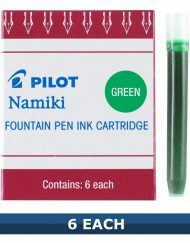 Categories: Pilot Vanishing Point Fountain Pens, Namiki-Pilot, Namiki-Pilot Vanishing Point Collection. Tags: 60595, 60596, 60597, 60598, 60599, PILOT VANISHING POINT FOUNTAIN PEN BLUE MATTE. Dive into the mysterious and powerful allure of the midnight sea stunningly captured in the new PILOT VANISHING POINT FOUNTAIN PEN BLUE MATTE. 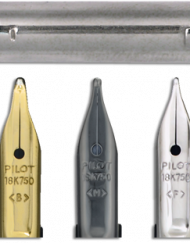 Exemplifying exceptional craftsmanship, the PILOT VANISHING POINT FOUNTAIN PEN BLUE MATTE features a black coated, 18-karat gold nib that delivers a fluid custom writing experience, and a retraction mechanism of rare precision that allows the nib to retract into the barrel when not in use. 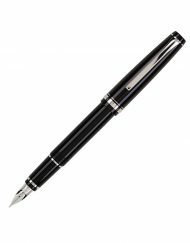 Refillable with a cartridge or a converter, the vanishing point is the perfect tool to embark on a writing adventure full of splendor, luxury, and intrepid style.